What one is, nothing but a product of all decisions made during one’s lifetime. Well some might want to put it as a summation of all decisions, but at the end of the day, product is nothing but a summation indeed. At every stage of life, one needs to make decisions and make choices from a number of alternatives that might be available at that point of time. For every decision made, there is an anxiety component attached due to the alternatives that were not chosen and this leads to questions like “What IF?”, which in tends leads to anxiety and tension. There will always be something that one will have to give up in order to attain something else. As they say: “You lose some, you gain some“. 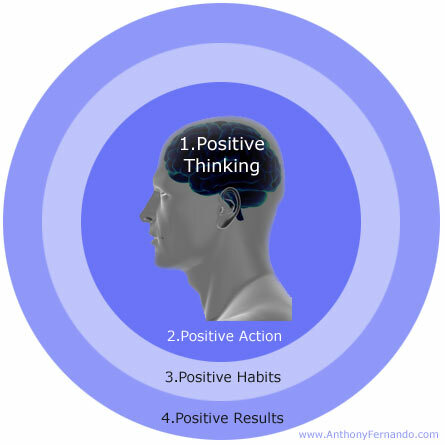 By thinking about what one has lost might lead to negative thoughts and by thinking about what you have achieved might make one happy and instill positive thoughts. Its upto the individual to decide which way one would want to think. After all, our brain is a goal-striving mechanism. If one gives it positive inputs, it will come out with positive outputs, while on the other hand if one gives negative inputs, you will what will happen. So, the best way to lead life is to give positive inputs to the brain without worrying about what one has left behind. To give an example, let me chose myself this time around and not my friends 😉 . If I start to think, as to why I left the lucrative career behind me in Paris after doing an MBA and why I came back to India, it would give me sleepless nights considering the fact that I am still trying to achieve what I want to. But on second thoughts, is life all about wondering what I have lost or is life all about enjoying what I might accomplish in the future. Well, the latter of the two makes more sense and hence in my case, I always try to look at the brighter side of things without worrying too much about what I might have lost. It’s not thought I am not perturbed by negative thougts, they do threaten my decision making skills and at times my integrity, especially when I meet failures in life, especially when important people in my life question my understanding, especially when society questions me with the famous line, which I am sure lot of people might have encountered during their life times: “What are you doing these days?”. But in the end, what keeps me going on is a self belief that I will make it one day and on top of that a belief in the Almighty. After all, he must have inscribed something good for me ;).